So you’ve developed your recruiting game plan, effectively marketed yourself to your target schools, and you’re starting to see some responses and interest from college coaching staffs. When you get past the initial emails expressing their mutual interest, the next stage is to get on the phone together. So what are you supposed to say? 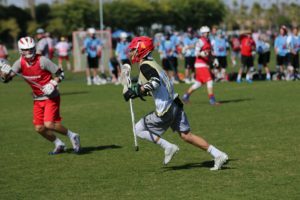 In this edition of our college lacrosse education series, we’ll cover some of the things you need to keep in mind when you reach the stage of speaking on the phone or in person with a coach who is actively recruiting you. Like many things in life, relationships are the key to a successful recruitment, and often a phone call is an early step in fostering those relationships with college programs. Yes, there is a physical component to this. We’ve all felt anxiety in new situations…it’s a natural and normal reaction. Just like performing on the lacrosse field, you’ll do better when you can calm your nerves to simply perform. One of the main ways you can control this (on the field and off) is through your breathing. Before the call, do some controlled deep breathing exercises and review the information you’ve gathered on the school, lacrosse program, and coach to whom you are scheduled to speak. If you get hung up during the call and find yourself sucking air, try to take deep breaths with your mouth away from the phone while the coach is speaking. Of course you don’t want to lie to a coach on the phone or in person, but what we’re talking about here is providing a coach with YOUR goals and dreams. We’ve all memorized the “right answers” to questions about our game- “it’s about the team”, “I’ll play anywhere you need me”, “I just want to be a good teammate”, but that doesn’t tell a recruiter what you think YOU can bring to their program. If you want to compete for a starting spot as a freshman, say that. If you’re willing to play defensive midfield for a year or two to get the chance to compete for an offensive spot, say that, but it needs to be about what YOU want and what YOU are willing to do to make that happen. You have to realize that your coach and your program aren’t in charge of your progression, so it’s up to YOU to get better and compete for playing time. At the college level, your desire and dedication to reaching your own goals serve as an important indicator to a coach of how well you will play for them and their program, increasing your ability to secure a roster spot or scholarship offer. There is a difference between saying you prefer a larger university and saying you don’t like small schools. There’s a difference between saying that you’re interested in higher-level academics than something disparaging, even about another school. As a high school student-athlete, it’s likely that you have an idea of what you want, but you really don’t know what will work best for you and your family. The risk you run by going negative is in offending a recruiter. These coaches are proud and dedicated to their schools and programs, so the wrong critical or negative comment can change the complexion of the conversation and end their recruitment of you. Enter each interaction with an open mind, ready to listen to what the coach is trying to tell you about the opportunity they’re offering. What would my typical day look like in the fall? In the spring? What type of player do you recruit? How many are you recruiting in my class? Where do you see me fitting in your program? What can I work on to fit better in your program? Does the lacrosse team live together? Is there a Greek system or a “Lacrosse Fraternity”? Is there a prevalent major among the guys on the team? These are just a few examples, but you want to ensure that you convey to the coach that you have thought about his program and you are interested in learning more from him. That kind of preparation encourages the coaches to engage with you and lets them know they’re not wasting their time with a prospect that is only lukewarm on their school. College coaches are salesmen. They have to be salesmen to attract the best recruits and build their programs. Because they are juggling 75 recruits to commit 15 of them, they sometimes get aggressive in asking for your thoughts on commitment to their school. Don’t let a coach paint you into a corner or solicit an answer you’re not prepared to give. A simple “I would need to discuss that with my family before I give you an answer” will usually suffice. The same applies for pressure to visit the campus – “Thanks coach, and I’ll sit down with my parents to see if that weekend can work for us as well”. The main thing you want to avoid is agreeing to something only to go back on it later, which can create issues in your relationship with that coach. While we often talk about this college selection process as one of the most important decisions you’ll make in your life, we also must recognize that a coach’s choices affect their families and livelihoods as well, so they take this process very seriously. They want to get to know the real you so they can evaluate your fit in their program, both on the field and off. 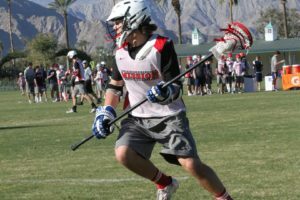 Your ability to communicate effectively and show genuine interest in their school and lacrosse program can greatly impact the opportunities you get throughout the recruiting process. You certainly don’t have to be polished and have all the answers, but effectively communicating through some nerves shows coaches your maturity and begins to give him an idea of who you are, both as a student-athlete and a young man. As we have mentioned many times, tournaments, showcases, or camps can serve as a great way for you to significantly increase your recruiting exposure. They can also serve as a great way to increase your contact with the college coaches on your target list and to maximize your college recruiting and scholarship opportunities. You need to make sure you are taking advantage of these opportunities! Many of these events are set up to include many top colleges coaches from across the country. You should choose your events by figuring out where your target schools are attending and where you can play against the best competition and maximize your exposure. Sometimes this means regional team events, prospect days, or individual showcases. Many of these events are designed to give coaches a great chance to see a good number of potential recruits playing against top competition. Do you feel that you have had a good amount of coaches at your games? Did you contact your target schools ahead of your events and did their coaches come out to watch you play? If yes, the most important thing to do now is to follow up with them and thank them for taking the time to come out and watch you play. The biggest challenge in the recruiting process is establishing a solid relationship with your target schools’ coaches. 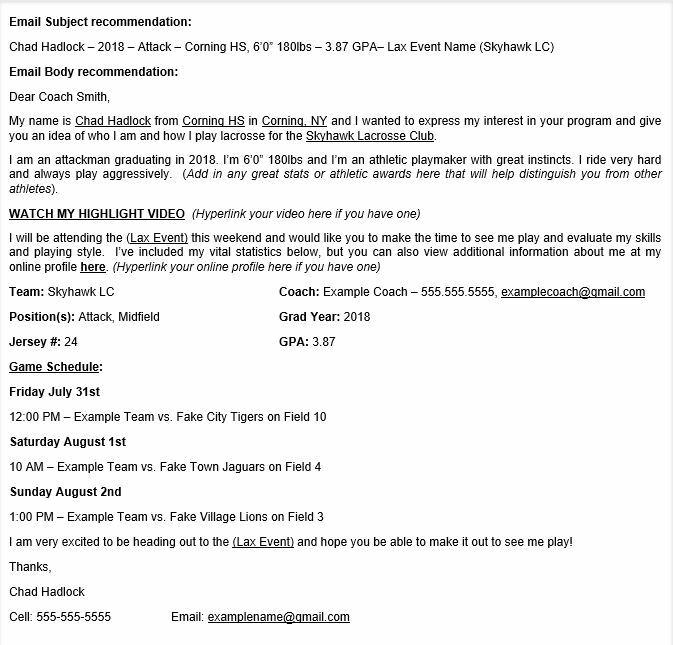 With the remaining events this year, it is important that you stay relevant in these coaches’ eyes. Establishing and maintaining these relationships with meaningful dialogue will be the most crucial component in getting an offer from your target schools. So while you don’t want to overwhelm them with contact, get your highlight video made, provide a personal update, and follow up with the coaches you’ve met to make sure that you stay on their radar.